Classical multipurpose quickdraws with excellent quality/price ratio. 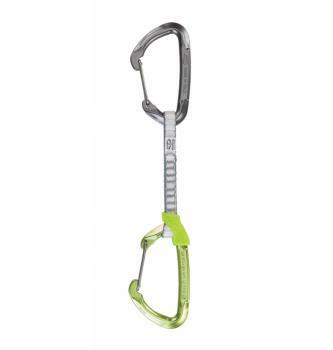 Lightweight and ideal for multi-pitch sport climb. Equipped with classic shape carabiners with wire gate, facilitates rope insertion and prevents oscillation in case of impact against the rock. Equipped with a lightweight and durable 11 mm Dyneema sling and a new FIXIT rubber fastener on the lower carabiner that prevents rotation during use and protects the sling from wear and tear. This product is at the price listed above delivered free of charge to: IT.